The perfect present for the prosecco lovers in your life. 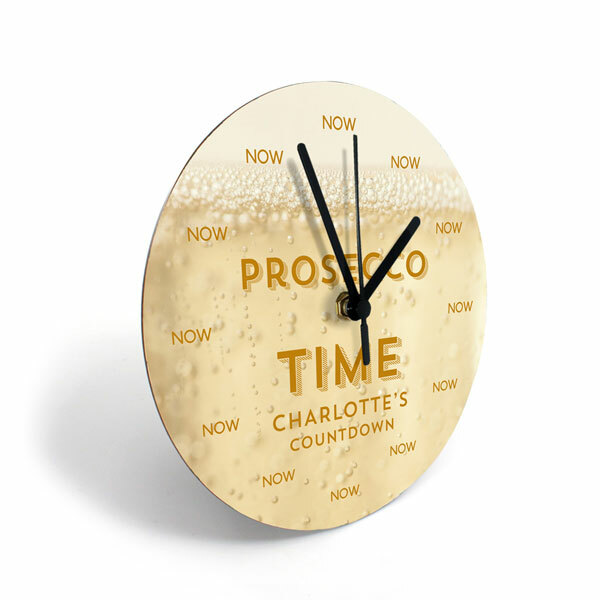 Personalized prosecco clock is a fun new way to tell time and celebrate your favorite happy hour beverage. You provide a name to put on the clock and let us know where you want it sent. Clock requires 1 AA battery (not included). Hook on back for hanging. Specify up to 25 characters for personalization. Allow 3 weeks. No rush delivery or gift box. 8" diameter.